halibut cheeks — Schoolhouse Fish Co.
We love catching halibut and are proud to be one of Alaska's many small-boat Pacific Halibut quota holders. In keeping with our commitment to adding value to our industry, we take the time to cut extra (and extra yummy) fillets from the normally-discarded "cheeks" of our fish. Here's our friend and fishing buddy Karsten landing a halibut on a longlining trip with Eric. Pacific halibut are flatfish living near the bottom of the ocean with the fantastic trait of having both eyes on one side (the top side) of their head! Their top side is grey or brown and patterned like the ocean and their bottom side is light colored to blend in with the sky. They live throughout the North Pacific ocean, are capable of migrating long distances, eat all manner of other fishes, and can grow to be 500 lbs and 8 feet long! We're happy to offer for sale both premium halibut fillets, and also tasty halibut cheeks. In the traditional commercial halibut fishery halibut carcasses are discarded once fillets are removed, but Alaskans know that the leftover "cheeks" make great eating. We take the extra - and somewhat labor intensive - step of making a good cut from the fleshy halibut head and market these "cheeks" separately. We LOVE preparing halibut cheeks as exotic main entrees, as "burgers" in sandwiches, stripped into fish tacos, or chunked with our lingcod and rockfish in soups and curries. Halibut fishing is carefully regulated by the International Pacific Halibut Commission, and we own halibut "quota" or one small slice of Alaska's regulated fishery. 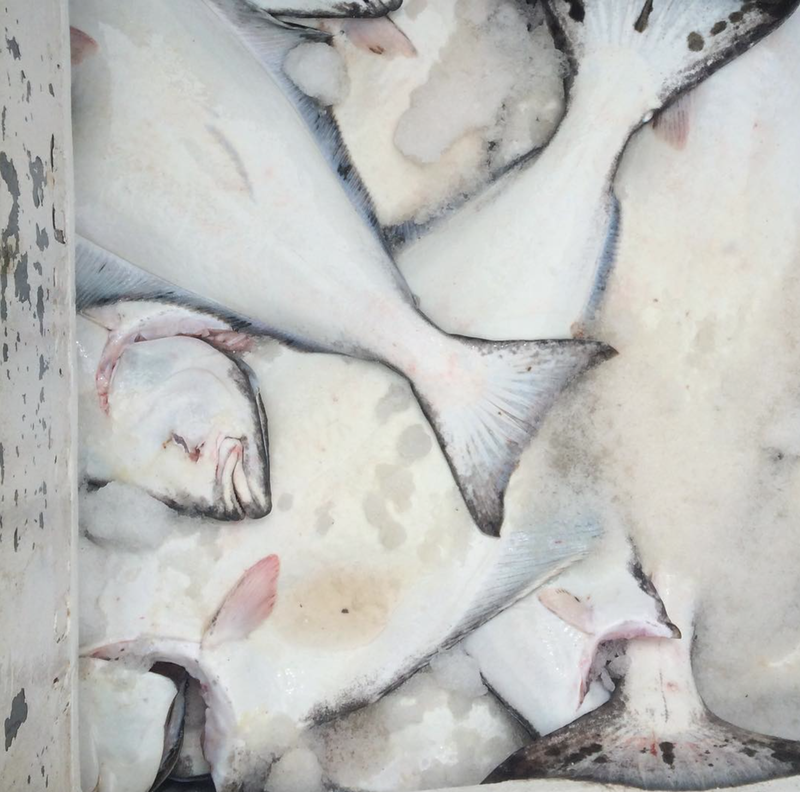 Poorly regulated halibut bycatch by Bering Sea factory trawlers can impact the quota allocated for Alaska's tribal subsistence and small-boat fishing businesses. We join many good people in advocating for solid management of this fishery, but haven't yet gotten traction with the North Pacific Fisheries Management Council. We'll let you know if there are opportunities to weigh in for better management of halibut in the North Pacific. Also, Malena has never resisted an opportunity to say "just for the hal-i-but," and this website is no exception.